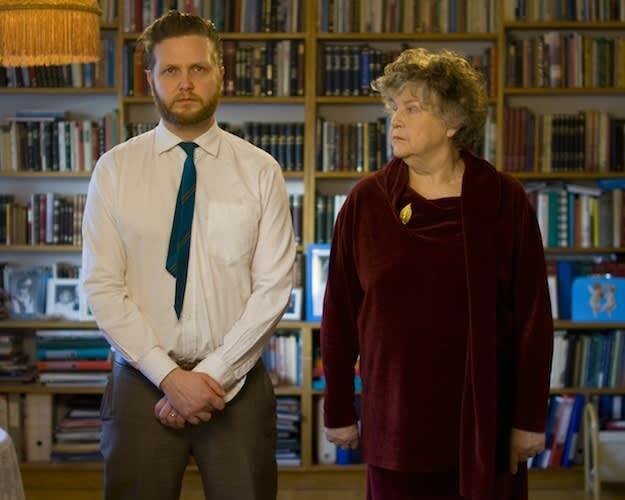 Icelandic artist Ragnar Kjartansson makes his New York museum exhibition debut with "Me, My Mother, My Father, and I," opening on May 7 at New Museum. The highly anticipated exhibition will include a live ten-piece orchestral and video performance entitled Take Me Here by the Dishwasher: Memorial for a Marriage, a piece inspired by a scene in Iceland&apos;s first feature film Morðsaga. Kjartansson&apos;s parents starred in the film in 1977 and it was allegedly filmed the day before he was conceived. A few of the pieces in Kjartansson&apos;s exhibition were made in collaboration with his parents, and all three artists will be in attendance on May 9 for a screening of Morðsaga. For more information about the screening as well as Ragnar Kjartansson&apos;s drawings, installations, paintings, and "feats of endurance," head to the New Museum exhibition page.